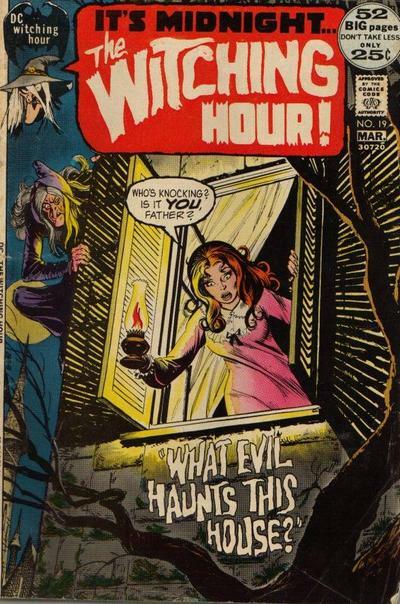 POPS GUSTAV: Bronze Beauties #34: THE WITCHING HOUR! 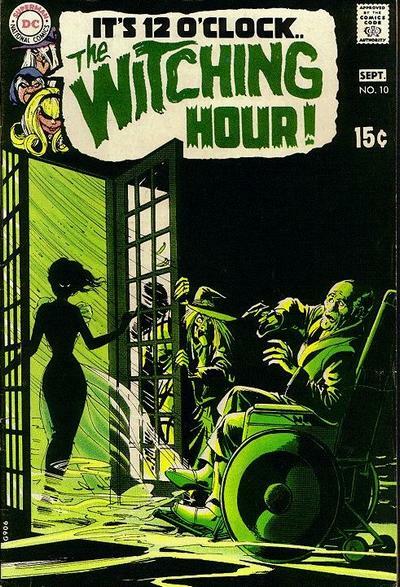 Bronze Beauties #34: THE WITCHING HOUR! 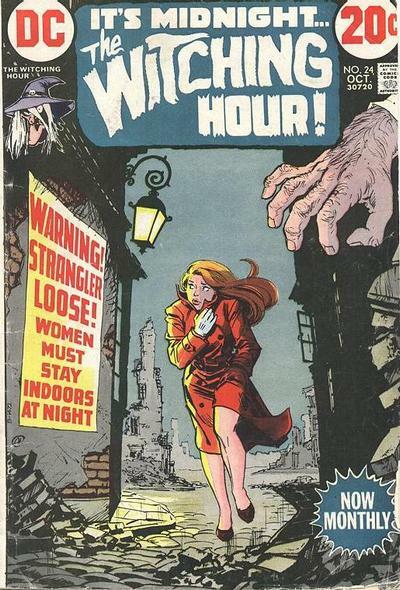 DC Comics' mystery titles of the Bronze Age were a decidedly mixed bag. 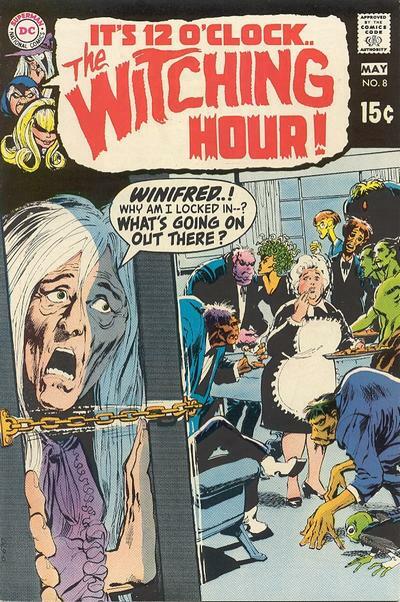 While the writers were neutered by the Comics Code as to how terrifying and gruesome they could be (the words "horror" and "terror" were banned, as well as zombies), the artwork, by legends such as Neal Adams, Alex Toth, Gray Morrow, Bernie Wrightson, and many more elevated many otherwise forgettable stories. 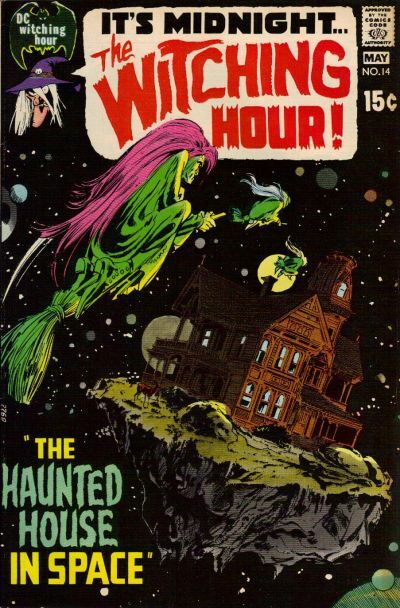 And the covers were often worth the price of admission alone. 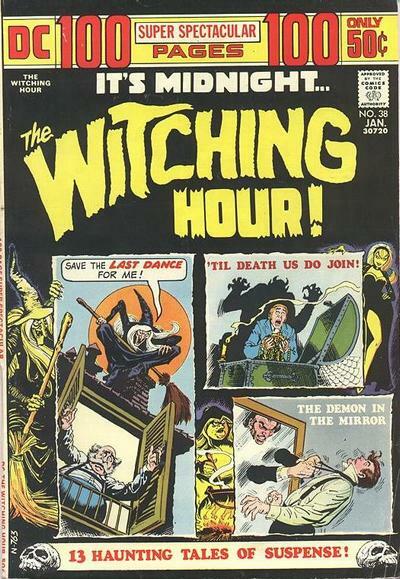 Below is a gallery of eight awesome covers for THE WITCHING HOUR, and anthology title hosted by three witchy sisters (two ugly, one hot). 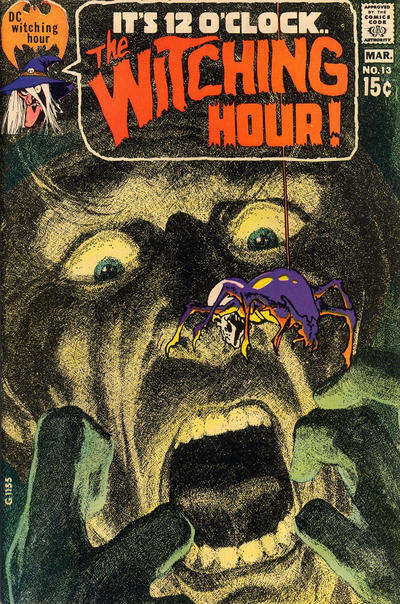 The first one came out the same month I started reading comics, but didn't enter my collection until years later. 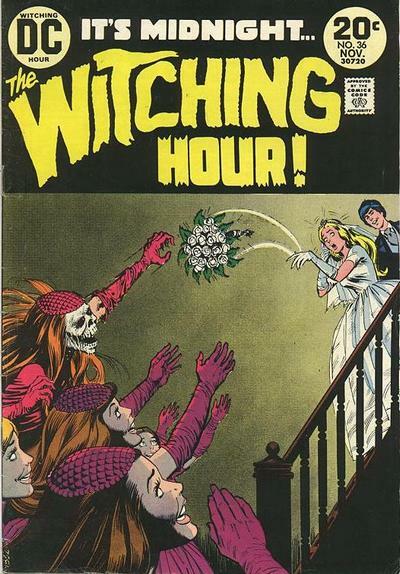 The final one, however, is one of those iconic books I can remember picking off the spinner rack thanks to that bewitching (sorry) montage cover by Nick Cardy. Dig in!